Read our helpful guide to second hand Peugeot Expert. AA Cars works closely with thousands of UK used van dealers to bring you one of the largest selections of Peugeot Expert vans on the market. 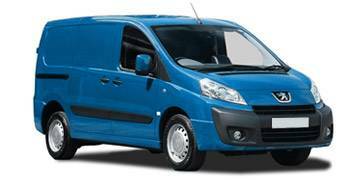 You can also browse Peugeot dealers to find a second hand van close to you today. All used Peugeot Expert on the AA Cars website come with free 12 months breakdown cover. The Peugeot Expert is a versatile and practical panel van, which ensures plenty of space to lug hefty loads around, but also manages to remain compact enough to be comfortable in and around claustrophobic city streets. Sharing the basic design with the Citroen Dispatch and the Fiat Scudo, the Expert benefits from a collective design, which results in 5.0m3 load space in the short-wheelbase model, or 6.0m3 in the bigger version. Engine options are either a 1.6 litre, 90bhp, or 2.0 litre diesel, of which the latter (with 120bhp or 136bhp), offers the more satisfactory amount of power. Winner of What Van? magazine's Small Panel Van of the year award for two years running (2010 and 2011), it is the ideal mix of functional practicality and urban mobility.